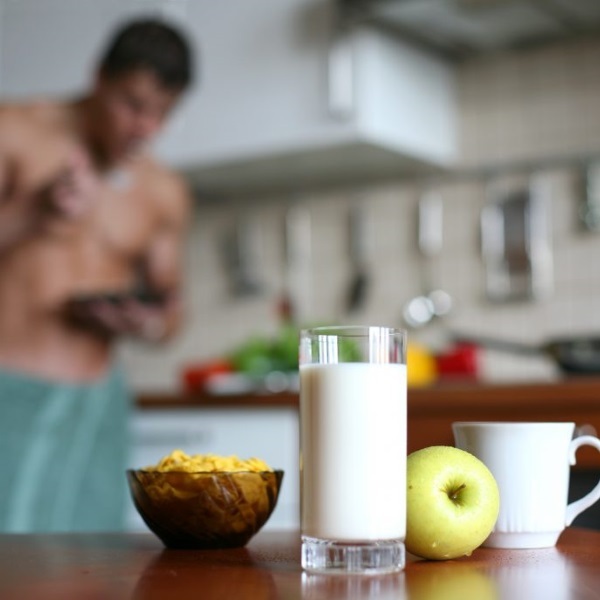 IS YOUR BREAKFAST “SIX PACK ABS” APPROVED? Food research shows that starting your day with a healthy breakfast will aid weight loss goals by curbing mid-afternoon snack attacks and binge eating – which are major enemies when you’re trying to lean down to get six pack abs. I created this countdown because I want you to better understand what food choices will power your morning and kick-start your day, as well as identify less favorable food choices that will slow your metabolism, lower your energy levels, and increase fat storage – making six pack abs a lot harder to attain. 5.) Cereal: Most of us past early teenage years have already cut the cocoa puffs and captain crunch, however “more mature” and so-called “healthy” cereal options such as many fiber-friendly, dried fruit, whole oat and nut cluster options are not actually the weight-loss breakfast solutions that they are marketed to be. Most of these cereals are actually packed with added sugar, preservatives, and even use hydrogenated oils in the manufacturing process – making them nearly JUST as bad of a choice as Fruit Loops. Healthy alternative to promote six pack abs: If dairy is your “thing” and the cereal plus milk is your fix, try instead choosing 1 cup of plain non-fat greek yogurt. Throw in some raw almonds, rolled oats, and/or fresh fruit for added texture. 4.) Bagel and cream cheese: Bagels are made with processed flours that induce rapid insulin spikes, leading to fat gain. Cream cheese is also packed with high amounts of fats and crank up the overall calorie count – and lacks a good amount of protein. Healthy six pack abs alternative: Cut the calories in HALF by instead toasting an Ezekiel english muffin, 1 tbsp natural peanut butter or sugar free jelly. Ezekiel flourless bread products keep your blood sugar levels regulated.. The peanut butter will give you healthy fats that will sustain your appetite and sugar free jelly just adds the sweetness that you crave in your morning foods. 3.) Breakfast Smoothies: Many on-the-go morning drive-through spots offer breakfast smoothies as their “healthy” alternative to eating greasy breakfast sliders or hash browns. Even Instagram foodies and maybe some “fitness models” with seemingly nice six pack abs are posting pictures of these smoothies too. As it turns out; these smoothies are just the opposite of healthy. The base, or liquid mix, for these smoothies is literally an artificial sugar syrup that gives the smoothie it’s irresistible fruit flavor – More often than not, these are NOT made with fresh, raw fruits, which means you are NOT actually getting any natural vitamins and minerals that you would have gotten if it were blended with real fruit. This also includes specialty coffee smoothies – DON’T DO IT! Healthy alternative to promote six pack abs: MAKE YOUR OWN! Invest in a blender ($30) and purchase all of your favorite fresh, raw fruit varieties of your choice for antioxidants, vitamins and mineral content and blend with water, unsweetened almond milk or unsweetened coconut milk. You could even blend cold coffee with a splash of unsweetened almond milk and a scoop of protein powder into your breakfast to really power your morning and metabolism. You’ll save A LOT of money by getting your own blender while also saving yourself A LOT of calories that you know will be a deterrent in your quest for getting six pack abs. 2.) Juicing: Despite the HYPE of being a lower calorie breakfast option while still rich in vitamins and antioxidants, juices are actually NOT the best way to start your day because most lack filling fiber and often pack in more natural sugar than a Mountain Dew. Liquid sources of natural sugars cause a more rapid rise in blood sugar and insulin levels, compared with eating solid foods – This can also be bad news for those already at risk for Diabetes or high blood sugar – or those who are looking to get chiseled six pack abs. Healthy choice for six pack abs: If veggies are your thing, try making a vegetarian omelette instead. Pan up 4 to 6 egg whites and add fresh red or green peppers, mushrooms, broccoli, raw spinach, or kale on top to still reap the beneficial veggie vitamin and mineral content along WITH fiber AND protein. Add a side cup of fruit if you need the sweetness to start your day. 1.) And the number one WORST breakfast choice of all time when you’re trying to carve out your six pack abs is… NOT EATING BREAKFAST AT ALL. A high-quality breakfast is absolutely necessary if you are serious about your six pack abs and starting your day off right. It provides you with lasting energy to fuel your day, curbing your cravings, lowering the risk for some chronic conditions as well as promoting fat-loss. One study found that breakfast eaters burned 400 more calories during a day through increased daily activity!